Rosie: A beloved border collie with many hobbies; including biking, hiking and eating fabric. A busy border collie is a happy border collie! 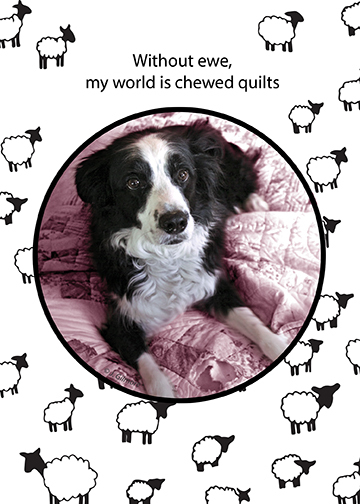 "Without ewe, my world is chewed quilts"